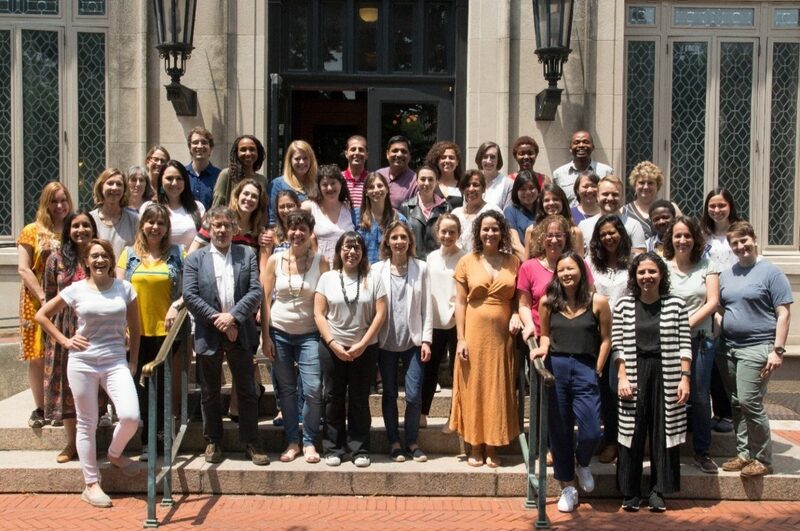 In late June, when the press was talking about toxic stress and the long-lasting negative impacts of separating children from their parents with regard to US border policy, a diverse group of 30 journalists from 17 countries came together to learn about the scientific underpinnings of early childhood development, the impact of trauma, and the policies and programmes that promote resilience in the face of violence and stress. 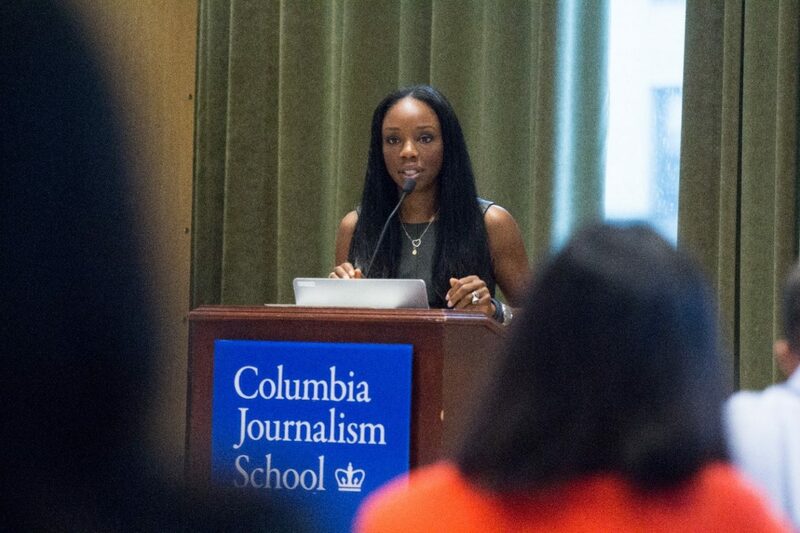 The four-day Early Childhood Global Reporting Institute conducted by the Dart Center for Journalism & Trauma at Columbia University kicked off with Nadine Burke Harris, author of The Deepest Well: Healing the Long-term Effects of Childhood Adversity, talking about her research on how childhood trauma affects health across one’s life course. She highlighted the importance of understanding adverse childhood experiences and their long-term impact on workforce productivity, business, and the economy. Charles Nelson shared his research showing that children who are stunted or experience wasting have too many neural connections, and their synapses are not adequately pruned. Neglect is more toxic to brain development than other forms of abuse. Kimberly Noble’s research brought attention to the fact that socioeconomic disparities are not evident in an infant’s brain function at birth, but become evident in the first years of life. Watch Charles Nelson and Kimberly Noble’s presentation ‘The Neuroscience of Poverty, Adversity & Trauma’. Lynne Jones discussed how her humanitarian work in resource-poor settings reinforce the importance of ensuring that early childhood programmes align with the mantra “Love / Play / Communicate”. Marta Rubio Codina emphasised the tangible and intangible returns on investment, and why promoting human capital growth from early childhood breaks the poverty cycle and yields long-term returns for societies. Hirokazu Yoshikawa talked about how the early childhood development community is learning to create common language across sectors to be able to work together and communicate core messages. Tara Eisenberg brought the journalists outside of the lecture hall to experience how urban environments can be friendly to young children and their families, and the long-lasting impacts on child development. Dana McCoy’s research to develop a systematic social observation tool to measure neighbourhood quality through indicators related to safety and order, child friendliness and accessibility of resources. Sally Grantham McGregor’s intervention in Jamaica, which is still having a resounding impact on young children around the world – Reach Up and Learn is being adapted in three provinces in China, with plans to scale up to another three. Watch Dana McCoy and Sally Grantham McGregor’s presentation ‘Promoting Resilience in the Face of Adversity’. Theresa Betancourt’s use of an intergenerational approach to improve child development and mental health through encouraging critical attachment relationships and engaging with the family and community. Cassie Landers’ work on play and playfulness as a way to address stress in resource-poor and refugee situations, most recently with Rohingya children in Cox’s Bazar, Bangladesh. Watch Theresa Betancourt and Cassie Lander’s presentation ‘The Youngest Victims of War and Conflict’. The journalists also got a chance to learn from more experienced journalists, such as John Woodrow Cox, who won the Dart Award for Excellence in Coverage of Trauma for his series on gun violence as seen through the eyes of children, a deep examination of how shootings shape the lives of millions of children. John shared insights from his experience engaging families who were going through huge upheavals and shocks, and discussed how to allow young children to guide the conversation and feel comfortable sharing their feelings and experiences. Mikhael Simmonds argued that journalists have a responsibility to shift the role of journalism from watchdog to guide dog. You can view all the recordings of the presentations here and download other resources from the course as well. For me, just being in a room with 30 journalists was an eye-opening and refreshing experience. The drive of the journalists to seek out answers to difficult questions was unparalleled. From the discussions within the course, and my conversations with individual journalists, it was evident that the course had equipped them with deep knowledge of how young children develop, what successful interventions look like, and – perhaps most importantly – with the tools to seek out the facts and push for their stories to be published. Jenny Anderson, Senior Reporter at Quartz, raised the important role which journalists have to push for social issues to be reported alongside other news beats, and their blending a strong grounding in science with every story they tell. This underscores the role which we, as knowledge brokers, play to make research accessible and coherent, free of jargon and technocratic speech. As a foundation, we are committed to supporting journalists to produce independent reports on issues related to early childhood development that reach a broader audience of decision makers and influencers. This would move the conversation on early childhood development from one around the “why” into in-depth explorations of the “how” – solutions and interventions. This course with the Dart Center for Journalism & Trauma also begins to address the gap in how the science of early childhood is communicated to a broader audience. I look forward to reading and watching the stories and reports which will be produced by this group of journalists. I believe that this course is the start of a valuable network that connects like-minded journalists with researchers and organisations who believe in the power of early childhood. Together with two additional global courses taking place in New York, future courses have been planned in Côte d’Ivoire, India and Jordan, where the spotlight will include the state of early childhood within the region as well as core issues. This three-year initiative has been underwritten by the Bernard van Leer Foundation, the Jacobs Foundation, the Maria Cecilia Souto Vidigal Foundation and The Two Lilies Fund.